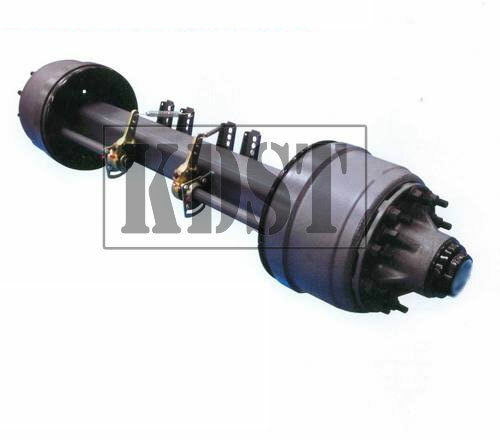 KDST is one of the biggest Fuwa parts supplier in India. Fuwa is a well known trailer and is extensively used in mining industry. KDST ensures that all the retailers and direct customers are able to get the required Fuwa spare parts on time. All the after market KKTC trailer parts are made according to OEM specifications and are double checked by automotive engineers before they leave the godowns. KDST range is massive. We keep everything from an entire KKTC type axles, slack adjusters to hub bolts. Slack adjusters for tata, fuwa, kktc, york and yte are available. We are driven by a team of spirited professionals who have had more than 40 combined years of training and industry experience. We supply to public, workshops, contractors, mining industry and Trucking Industries India and worldwide. This website was made to ensure the Fuwa trailer users get easy access to current information. We can help you save time and money. KDST offers value for money quality KKTC trailer parts that meet the demands of maximum vehicle uptime. Our fully trained parts staff to identify the right Fuwa part first time. Get in touch with us by sending an email to kdstindia@gmail.com or WhatsApp us at 09873537984. We assure to assist you in every way possible. We offer expert advice and quality fuwa trailer parts at low prices.